Joshua Ramatowski and Aaron Steingold. NORTH CENTER — New York Jewish-style delis are having a tough enough go in New York — can one make it in Chicago? 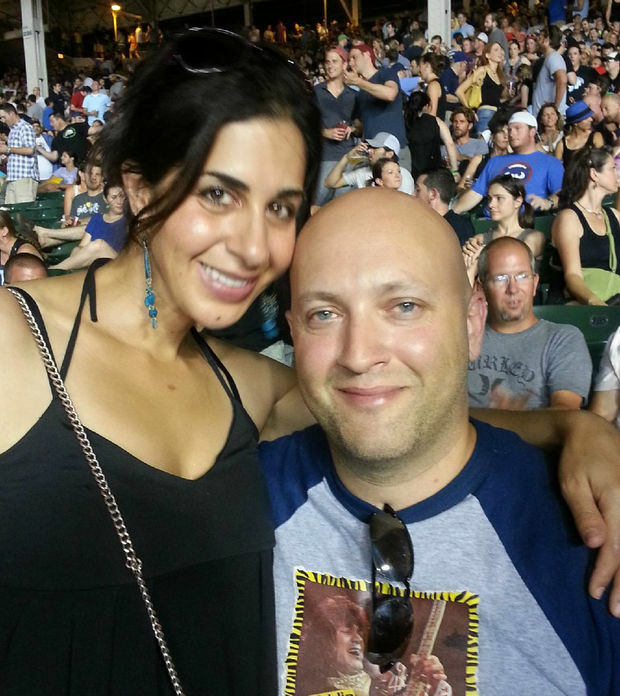 Aaron Steingold and his wife Elizabeth Abowd are about to find out. 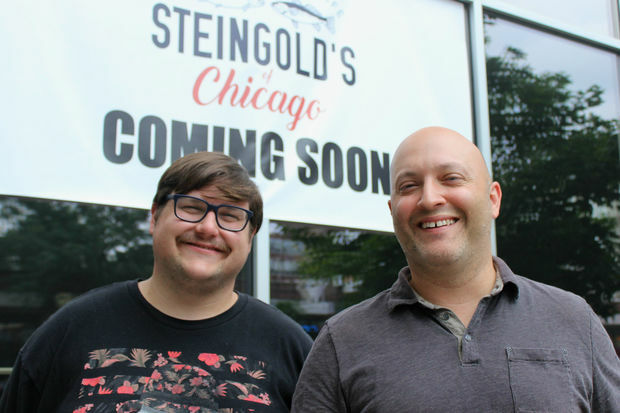 The couple, along with culinary director Joshua Ramatowski, are prepping to open Steingold's of Chicago deli and cafe in mid- to late-August in North Center. They're taking over the storefront at 1840 W. Irving Park Road, which has been vacant since Crepes a Latte went bust in 2012. The idea behind the deli is rooted in Steingold's childhood trips to his parents' native New York City, where the Virginia-born, North Carolina-raised Southern boy ate his way through joints like Katz's and the now shuttered Carnegie Deli. Steingold's will pay homage to those legendary eateries, but patrons shouldn't expect a kitschy recreation of an old school Lower East Side deli. "We are essentially keeping a firm foot in tradition while trying to bring the deli to a more modern and relevant place," he said. "People are sensitive to anything that feels like New York. That's why I consciously put Chicago in the name," Steingold said. On the traditional side, Steingold's will be serving classics like egg creams and a Reuben (dubbed the Uncle Rube) stacked high with house-cured and smoked meats. The bagels — sourced from Chicagoan Max Stern, the Bagel Chef — will be boiled and baked. "We want to be a sandwich destination for sure," said Steingold, 40. Here's where the modern comes in: There won't be a deli case. Meat, fish, cheese and salads will still be available by the pound, but the salads in particular will be prepared in smaller batches throughout the day to keep the ingredients fresh, he said. And sharing space on the menu with the Reuben will be sandwiches like the Cousin Suzy — pastrami-spiced mushrooms, roasted veggies and bhaba ghanoush — which will draw on influences from Abowd's Lebanese heritage. The Sister-in-Law sandwich — with pastrami, dill kimchi and Chinese mustard — is named for, you guessed it, Steingold's sister-in-law, who's Korean. "It's global-inspired cuisine delivered in traditional deli food," Steingold said. Steingold, who lives with Abowd in Albany Park, arrived in Chicago a decade ago to join the wait staff at Charlie Trotter's. From there he moved on to general manager positions at Art Smith's Table 52 and Trench, which is where he met Ramatowski. The 26-year-old cook hails from Mount Prospect and spent a good chunk of his youth hanging out at the dearly departed Lincolnwood steakhouse Myron & Phil, where his grandmother was employed for 30 years. "I pretty much grew up in the bar booth eating Shrimp de Jonghe and watching Jewish bookies place their bets," Ramatowski said. During a rough day at Trench, Steingold overheard Ramatowski say, "My dream is to open a Jewish deli." The off-hand comment led to a job offer and here the two are, about to embark on a new venture. Steingold and Ramatowski said they share an appreciation for modern culinary techniques and a belief in the use of high-quality fresh ingredients but they're also like-minded in their opinion that fine dining establishments sometimes lack heart and soul. "I'd rather taste someone's love than their ego," Ramatowski said. "We love making people happy. I like approachable food, food that you can eat every day," he said. Don't see anything on the menu you like? "I'll make you something," Ramatowski said. "'No' is not an option." 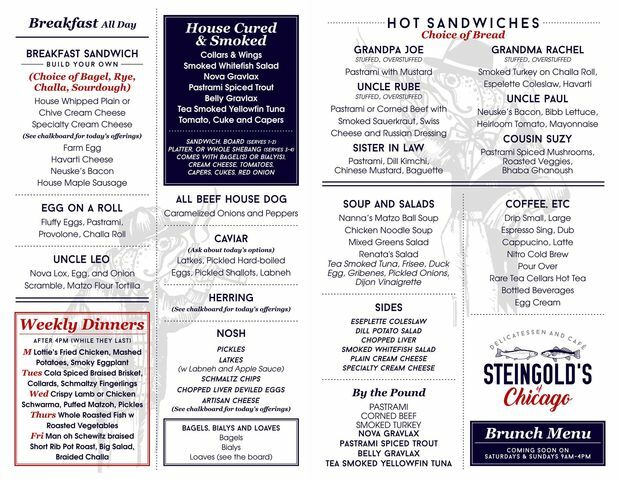 With seating for nearly 50, Steingold's is banking on a brisk lunch business and, given the deli's proximity to the Irving Park Brown Line station, expects to sell a lot of breakfast sandwiches and coffee to commuters (Steingold's will be brewing Sparrow). "The foot traffic here is unlike any I've seen outside of downtown," said Steingold, who previously ran a sandwich pop-up at Prudential Plaza. To pull in repeat customers, Steingold said there will be menu options at all prices. At one end of the spectrum will be touches of luxury like caviar and at the opposite end will be a house-made hot dog that will sell for just $6 — including chips and a drink, Steingold said. Baker Miller will provide pies, but Steingold is keeping the rest of the desserts a surprise. Hours will be 6 a.m.-8 p.m. weekdays and 9 a.m.-4 p.m. weekends, with a brunch menu expected to be available once the deli finds its legs. Eventually, Steingold has even more ambitious plans for the restaurant. "There will be nights where we host 15-course tastings or guest chefs," Steingold said. "On weekends, we have a lot of room to have fun with guest chefs and private events." The deli will open as BYOB, with a liquor license expected to follow in October. But at the moment, just a month shy of the deli's anticipated opening, the Steingold's team is still in a race to finalize the menu, hire and train staff and undertake interior renovations. Crepes A Latte's whimsical Parisian-cafe decor has been preserved like a time capsule and while Steingold's is aiming for a non-traditional deli vibe, stencils of the Eiffel Tower are a little too radical of a departure. "Essentially we're painting everything white and gray," Steingold said.